A portrait of Harriet Tubman, who will soon be honored in a new permanent exhibit headed for Cape May in 2020. Harriet Tubman, the abolitionist and freedom fighter who helped free more than 70 slaves through the Underground Railroad, will be honored in a new permanent exhibit headed for Cape May. The museum will highlight the work of Tubman, who spent time in Cape May after escaping to freedom in Philadelphia. 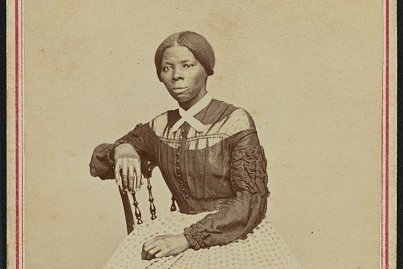 By the time she went to Cape May in the spring of 1853, Tubman had already traveled the Underground Railroad three times and was ready to free more slaves, working and saving enough money in Cape May to continue her journeys to the South. The Harriett Tubman museum will also highlight African American heritage of Cape May, which once had a black population as high as 30 percent, WHYY reported. If all goes as planned, the new museum will open in 2020, right around the time Tubman's likeness is expected to grace the $20 bill, according to the Press of Atlantic City. Before then, though, museum planners must raise abnout $700,000 to rehab the building for the museum and elevate it to protect it from potential flooding. The building selected for the museum is the previous home of the late Rev. Robert Davis, a longtime pastor of Cape May's Macedonia Baptist Church who died in 2015. The restorations are spearheaded by developers Robert and Zack Mullok, owners Cape May's Chalfont Hotel, a historical landmark of the region.